Make every shower exceptional with a shower head that gives you more warmth, coverage and intensity while giving you a choice between using the shower head, raincan or both simultaneously. *Coverage measured for a standard shower head in accordance with EPA WaterSense® Specification for shower heads, March 4, 2010. It is simple to install. The 5 different shower options makes showering an escape. I particularly like the regular flow combined with the rain can. It covers me from 2 angles and has such great water coverage. The massaging option relaxes my muscles after a long day. I didn't think my old shower lines would hold this shower head, but it is light. It turns my shower experience into a spa. How does the HydroRain 2-in-1 Shower Head function? How do I switch between the shower head and raincan? 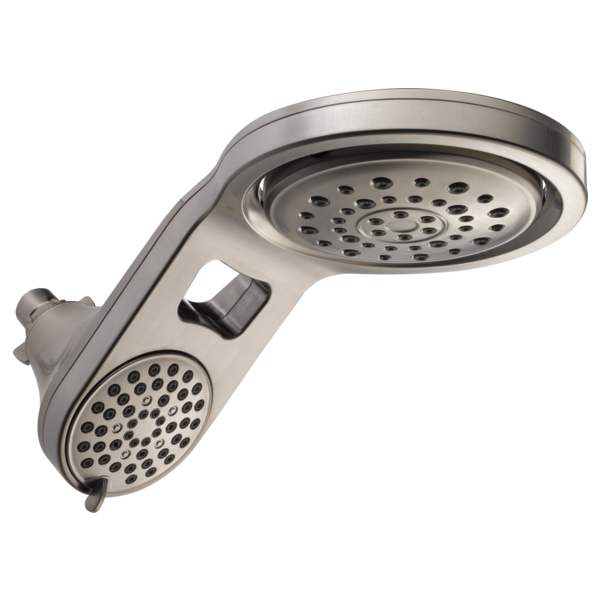 With a diverter lever positioned on the front of the shower head, you can set your HydroRain 2-in-1 Shower Head to one of three options: Shower head and raincan combined, shower head only, and raincan only.​ This diverter also lets you choose 5 different spray options on the shower head. How do you install the shower head? The pause functionality on the shower head reduces the water to a trickle, allowing you to conserve water while doing tasks such as lathering up or shaving your legs​. Can I re-position the HydroRain 2-in-1 Shower Head after installation to fit my shower space? The HydroRain 2-in-1 Shower Head allows for maximum flexibility and coverage after installation. The rain can pivots 40 degrees and the shower head can move 30 degrees in any direction. Will the HydroRain 2-in-1 Shower Head work on a standard shower arm? Yes. 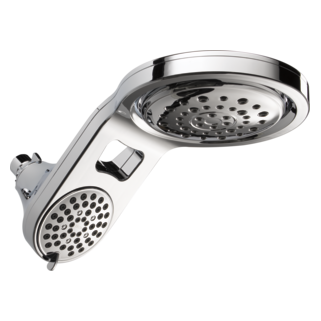 The HydroRain 2-in-1 Shower Head installs on any standard shower arm, similar to a standard shower head. Installs in minutes and no tools are required. 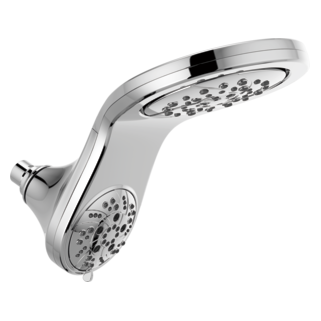 What are the key benefits of the HydroRain 2-in-1 Shower Head? The HydroRain 2-in-1 Shower Head creates a spa-like shower experience without having to redesign your shower. The overhead raincan shower creates a soothing rainfall feel with 40 degrees of motion for maximum coverage. The shower head includes multiple powerful spray options to rinse shampoo or give you a relaxing massage.